aving the right kind of protective eyewear is vital both to working effectively and safeguarding your vision. For those who need corrective lenses, sliding on a pair of generic safety glasses over your everyday pair is not just uncomfortable, it’s also a safety hazard as this arrangement usually results in poor quality of vision and a risk that the outer safety glasses will slide off at any moment. 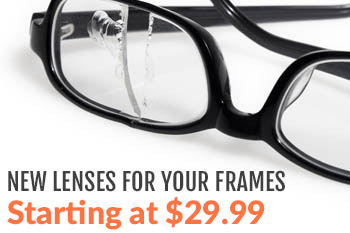 The variety of safety eyewear designs is extensive. There are thousands of models made to accommodate hundreds of different jobs. Depending on your occupation and daily activities, you may be working with inadequate eyewear that’s rated for safety but not the kind of safety you need. If you’re working with flying particles or powered machinery, it’s important to have ample face coverage and impact resistance so the glasses deflect flying debris. However, if you’re working with chemicals or bio-samples in a lab, splash protection is far more important as contamination is a bigger risk than high-velocity particles. If you work with welding or very bright lights, tinting becomes the most important feature to protect your retinas from burning and if you work in direct sunlight or in radiation areas, heavy UV protection becomes your primary concern. Do your safety glasses meet the needs of your activities? Lens color is incredibly important for certain circumstances and completely irrelevant in others. Yellow and orange colored lenses in your safety glasses tend to block out blue wavelengths and for many people, this increases clarity of vision. Many sunglasses are classically gray-tinted in order to provide better shading from bright lights like the sun. That said, not everyone has the same reaction to lens color so make sure you’re working with a color that is comfortable and easy to see through for your eyes. Using the wrong lens color can potentially give you headaches or impair your visual clarity. Contrary to popular belief, safety glasses do not have to be uncomfortable, especially if you buy your own pair of prescription safety glasses for personal use. With this freedom, you should be able to find a pair of frames with the right width, material, and shape to suit your face and head without pinching your nose, ears, or temples. Your safety glasses also shouldn’t be so loose that they slide around on your face. 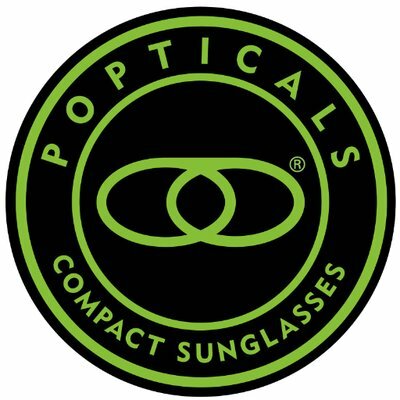 In order to actually provide eye protection, they’ll need to fit firmly into place and stay there comfortably, neither distracting you with uncomfortable tightness nor inconvenient slippage. Once you get into your routine, it can be hard to remember to update things that only need attention every few months or years. As an adult, your prescription has probably settled into something steady and fairly consistent but that doesn’t mean that your prescription has stopped changing entirely. If it has been a few years since you last bought a pair of safety glasses, it may be time to get an optometrist appointment, update your prescription, and make sure that you’re seeing as clearly and crisply as possible while working with dangerous materials and tools. While some people keep their safety glasses pristine in a little case, completely unharmed by the world except when in use, most safety glasses see a lot of abuse. They get stuck into pockets, rattle around in toolboxes, fall several feet to the ground if dropped, and might have even survived being stepped on once. No matter how much you’ve enjoyed your current pair and the adventures you’ve been through together, if your prescription safety glasses are now more scuff than clear lens, they’re no longer doing you all that much good. If the previous pair served you well, a new identical pair with a fresh prescription might be exactly what you need. Not all prescription safety glasses are made equal. More to the point, some of them are more ‘safe’ than others by the simple matter of functional coatings. Ideally, your safety glasses will have a heavy-duty anti-scratch coating, an anti-fog coating for humid climates and variable temperatures, and an anti-glare coating to ensure that you and your teammates aren’t blinding each other with stray reflected sunbeams. Glare is one of those special worksite dangers as sometimes it occurs unexpectedly and can be quite distracting. 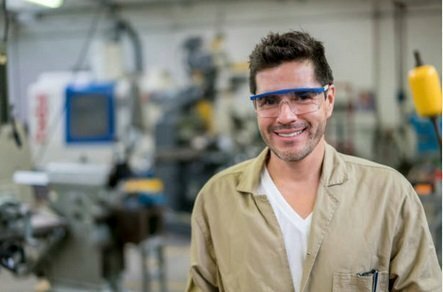 If your safety glasses reflect light a little too aptly, it may be time for a new pair with a little anti-glare coating. The vast majority of the time, if a situation requires you to wear safety glasses, they’re not the only safety gear you’ll be wearing. Often accompanied with protective clothing and gloves, the most important gear to worry about with prescription safety glasses are hats, helmets, and other headgear. If your prescription safety glasses do not fit comfortably under other gear you wear for work, it’s more than time to find a pair with a sleeker profile, thinner temple arms (earpieces), or maybe even a strap. This should allow your other headgear to fit around and over the glasses. In some cases, you may need to put on a hat or helmet first, then slip the safety glasses on the way motorcyclists do when they wear glasses and a helmet. Most people don’t do the exact same tasks their entire life. Your work environment and the activities you are involved in shape what you need from your safety glasses. If you have an old pair of prescription safety glasses from a previous time in your working life, there’s a chance they no longer meet the needs of your current tasks. Make sure that the pair you’re wearing meets the impact, splash, light, and UV protection requirements for what you’re doing now and if you’re not sure, your best bet for eye safety is to buy a new pair you’re certain does suit your current needs. When it comes to eye safety, no one wants to fool around and get blinded by a stupid mistake or random circumstance. Accidents can happen at any time, even when working or cleaning at home, so it’s important to always be prepared with some properly configured safety eyewear. Make sure your current prescription safety glasses are up to date on your eyes, meet the safety needs of your activities, and fit comfortably for hours at a time. For more information about prescription safety glasses, contact us today!